Furniture with the wow factor. Freedom is a wonderful thing – especially within your own four walls. Which is what Scala gives you: lowboards in four widths, and a huge variety of versions, for almost infinite combinations and configurations. And that’s not all. Scala elements can be teamed with units from the new Spectral Wall collection. Scala. Easy to install. Easy on the eye. Scala will be gentle with you. Thanks to high-quality damped opening/closing mechanisms. And drawers with an ultra-quiet soft-close feature. hey, you have to hear this! Rich bass, crystal-clear high notes, an all-encompassing surround sound, sumptuous stereo. There is an audio solution for everyone – and whatever your choice, it will be heard but not seen. 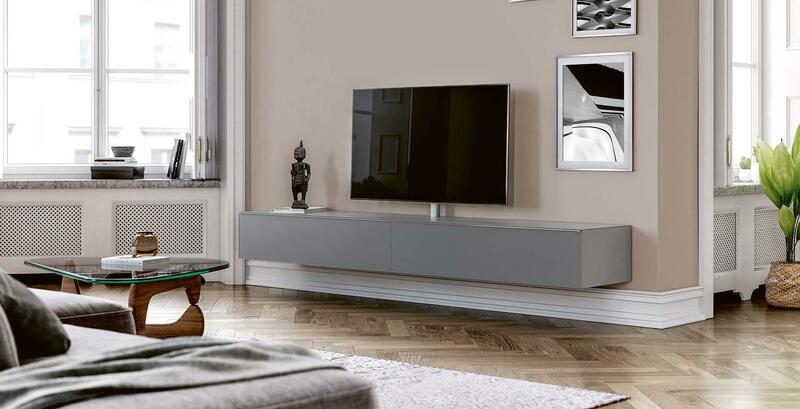 One Scala, many sound systems: The universal soundbar adapter features a metal shelf that is ideal for a huge variety of systems. stand it up. hang it up. roll it around. Scala can be mounted to your wall, placed on slender aluminium feet or on an attractive foot frame in steel. So you have myriad ways of creating a super-stylish living room. You can even use the lowboard as an eye-catching partition. And if you like to move things around, order the castors to go with it. 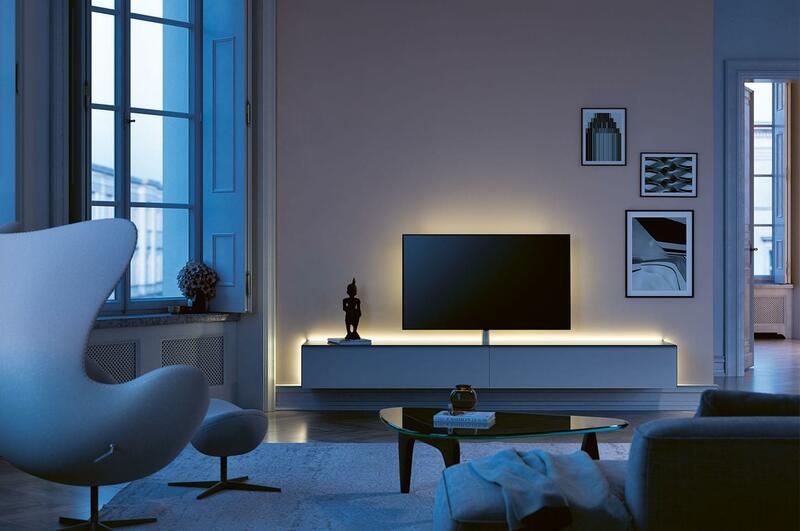 Spectral Smart Light technology gives you gentle, atmospheric background lighting. Just place your hand on the top of the surface to activate. Remember the days of wall-to-wall cupboards in ghastly colours plus a bulky tube TV lurking in the middle somewhere? No? Good. Today’s wall units are altogether lighter, airier and smarter. Download the Scala product portfolio in pdf format.